When I was a child, my mother amazed me. She was a typist for court reporters, and her fingers would just fly over her typewriter. She rarely made mistakes, too. When I was in high school, I learned computer keyboarding. It was typing, but we had the "luxury" of being able to easily correct mistakes without scrolling and using correction fluid. I imagine my lack of speed and early "still need to look" tendencies drove her nuts. 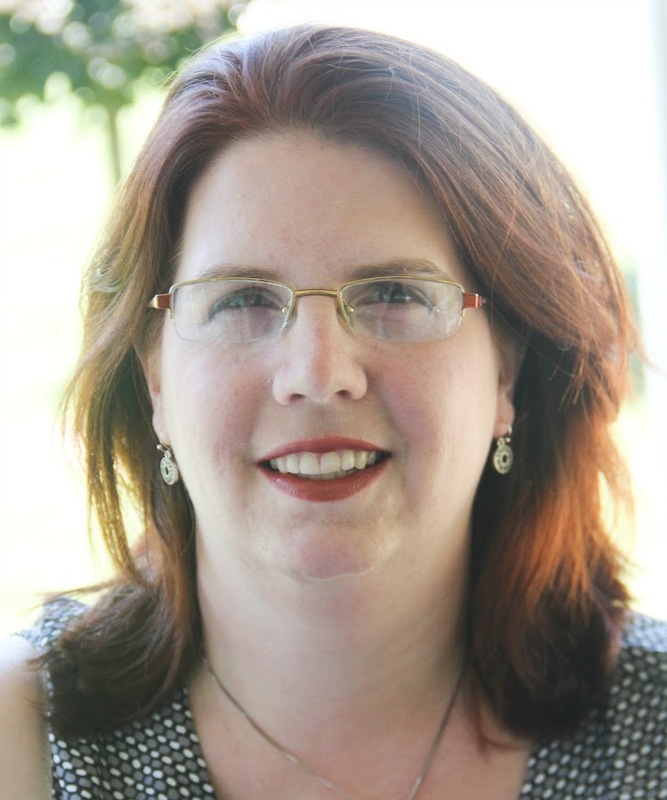 After years of term papers, secretarial work, and blogging, I'm a reasonable typist who watches the screen or what I'm copying from rather than her fingers, with hunt-and-peck kids who drive me nuts. 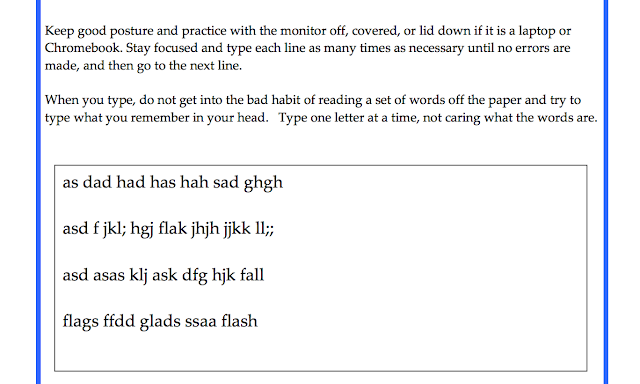 Enter The Typing Coach Online Typing Course from The Typing Coach. It's a course that teaches students to become proficient in touch typing, so they no longer are what my teacher called "typing chickens." 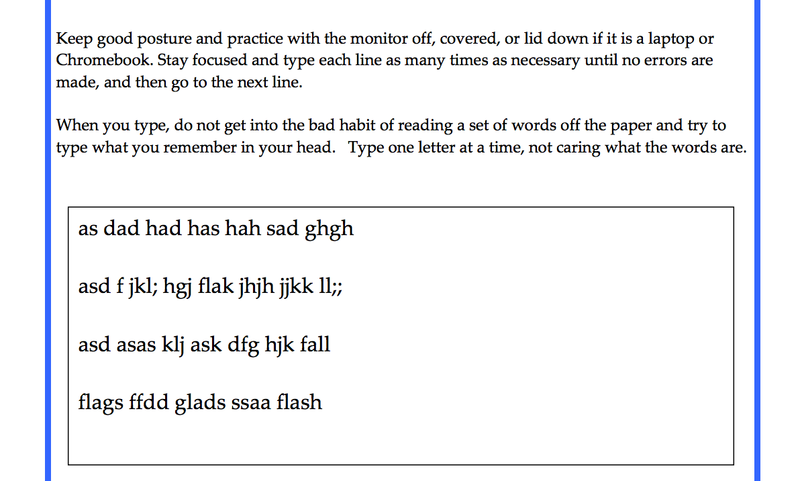 The program has a starting goal of ten words per minute with only one error. Once that is mastered, continued practice with the techniques learned should be able to advance the typist's speed to over 45 words per minute. That seems like a lot, but that's really fairly average. I also happened upon an online typing test and found that my typing speed is actually about 75 wpm, so it seems like 45 wpm is pretty reasonable goal for a student. Honestly, though, I would be happy with ten accurate words per minute. Sure, as a practiced typist, slow it painful to watch, but it is much, much better than, "Wait, where do I find that letter?" Matthew is the student I really wanted to work with this program, but right now he's really struggling to keep up with the content of assigned essays and papers. I think if I said to him, "And oh, by the way, you have to touch type all of them, no looking," we'd have mutiny. On the other hand, since Jude and Damien don't have bad habits yet, this would be the perfect time for them to begin, right? Eh...I don't know. I think several things were working against us with this program. First, proper typing posture is stressed over and over. Students are always reminded to keep their backs straight and feet flat on the floor. The boys sat down, and even with child-height poor Damien was not quite reaching. So, ok, not a huge deal, if you consider we were able to stick a textbook or small stepstool under his feet. But it was distracting -- it gave him something to kick around. He became more focused on making sure he could find that with his feet than on typing. 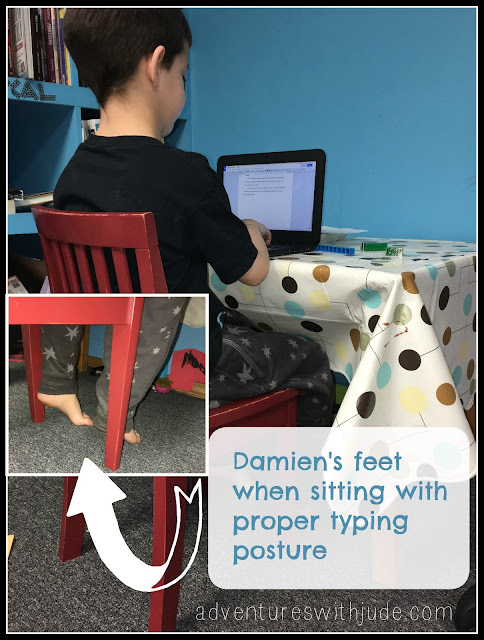 If you're considering this program, the first thing you need to consider is if your child is physically big enough to sit at the table and type. Jude did OK sitting at the same table Damien was at - he's about four inches taller, and easily reached the floor, but if we only had full-size furniture, we'd be employing more textbooks to raise the ground to his level. The program is not self-contained. 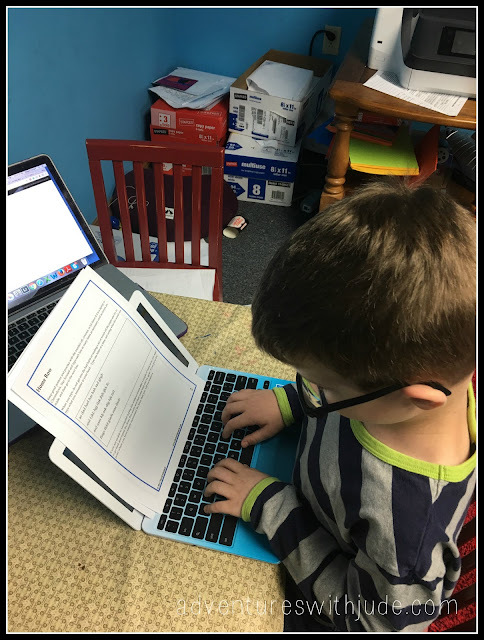 It functions as audio files that give direction to the students while they work in a word processing document with a printed worksheet. (There is a separate PDF that gives the work to be copied.) 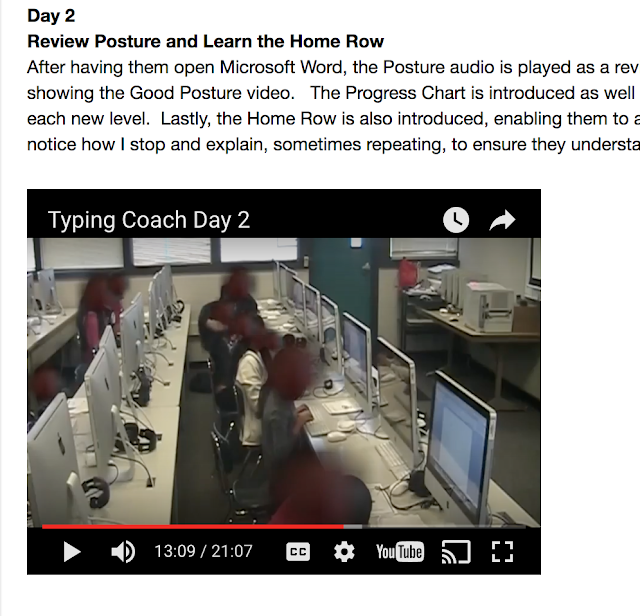 Work should be done with the screen covered so that the student is focused on the copy page, not the screen, and dives right in with typing the home keys. The boys were utterly confused. There was an introductory lecture-style video (that was far too long for them to watch in one sitting), and then audio directions on how to type. There was nothing to show them what the home keys were, where to put their fingers, etc. Thinking I was missing something, I poked around the website and the Teaching Resource Area. I found some videos that were basically a still camera observing the room of students, no close ups to show what the instructor was talking about. There's also no instruction on what your figures should do, at least from what I could find. It's just "put your fingers here, now type." Every program I've ever used has taught "a-s-d-f-j-k-l-;" as the first lesson, as the actual "home keys," and then expanded to "home row" and included the "reach" for g and h. This program dove right into the entire home row. I had to teach the boys that the pointer fingers should stretch over to the keys - they started trying to move their entire hands to get to them. If they're learning to type from a program, I'd expect that the program would teach them. I may have to facilitate, but I wouldn't expect to have to fill in gaps. This definitely was not something they would be able to do independently. The program stresses getting one thing perfectly correct before proceeding on. However, it's just drilling the same four or five lines over and over. The boys did days and days of the same home row, until finally I had had enough of the frustration and tears. They'd get nervous that they wouldn't move on, and it became self-fulfilling. It also didn't help that I kept saying "No, do it again; no, do it again; no, do it again..." There was no anonymous voice saying, "Try again," it was always Mom saying, "Redo." They also were repeating the same sequences over and over, with no variation for "Ok, you know how to do a-s-a but struggle switching hands and doing a-k-a, so let's focus on that cross-the-midline connection." I think if you were an adult or a middle-to-high schooler, you might be able to reasonably say, "OK, I just need to do this," but for a younger child who requires more feedback than "Again," this is probably going to be frustrating. If we did typing early in the day to get it out of the way, the constant failure set up the rest of the day as already being an emotional struggle. When I said, "Ok, let's save that for the end," it became something to dread and try to negotiate a way to skip it. 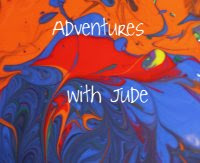 (At one point, Jude bargained he'd read two entire Magic Tree House books AND skip Oreos from dessert if he didn't have to type that day.) I finally said, "OK, move on to learn something new, and we'll just keep practicing both pages," but it just gave them more letters to stress over. We were all glad to see the review period for this to end. I'm proud of the boys for sticking it out and trying, but this is a program that we're very unlikely to go back to. I wouldn't recommend it for younger students, or for ones who need really detailed instruction and/or feedback. 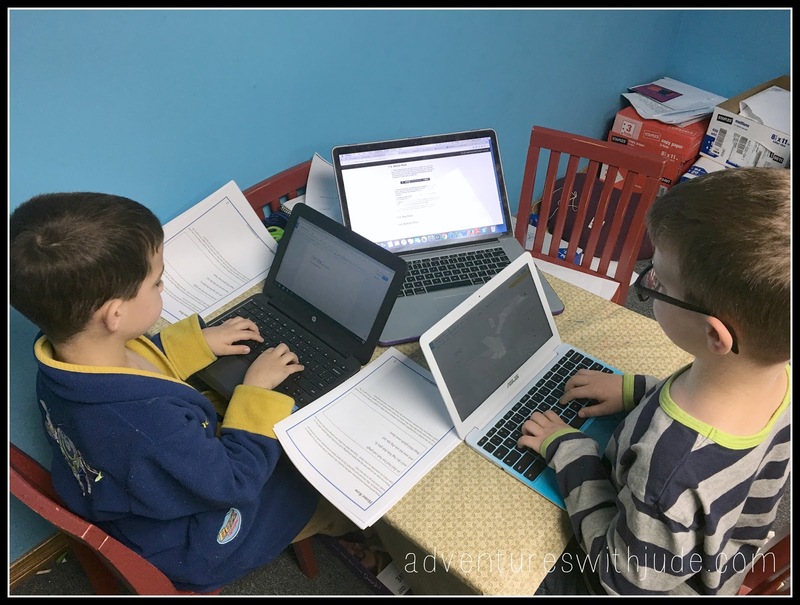 100 Crew families have been learning to type; read about their experiences by clicking the banner below.